Inspired by Eildh Child’s performance and emotional lap of honour at a packed Hampden? Or the emotion and drama of Lynsey Sharp’s superb silver only 24 hours later at the National Stadium? Maybe you were thrilled to see Libby Clegg sprint her way to gold? Or to see hammer thrower Mark Dry on the podium receiving his bronze medal? Do you want to be part of the best sport in the world…? Well, you can be. Starting now! Athletics is undoubtedly the most exciting and inclusive sport in the world with events to suit all ages, abilities and skill sets. There are many facets to this wonderful sport and it’s not only about the athletes. There are 142 athletics clubs in Scotland who need your help with opportunities available from the recruitment of new athletes to coaches, technical officials or general club volunteering. 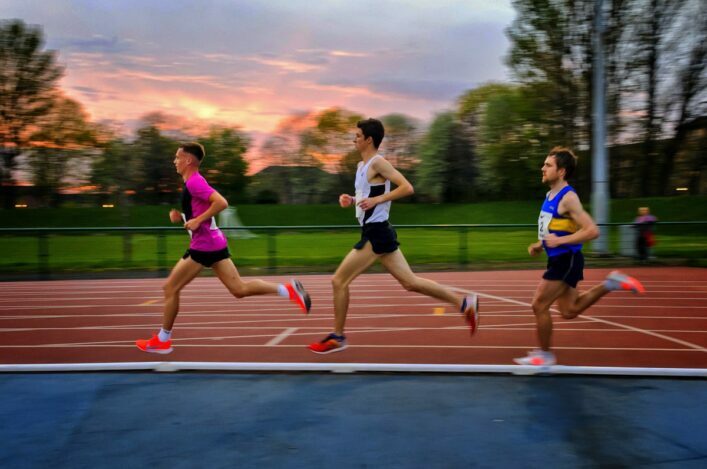 scottishathletics provides many opportunities for anyone involved in the sport ranging from competition and events, general support and training for clubs and club volunteers, coach development, technical officials training plus many more. If you want to get involved in our sport and discuss potential opportunities please contact the National Club Manager for your area. If you would like to contact a club yourself please visit our Club Finder – this will help you locate a group in your local area and you can take the first steps to joining them as a volunteer. To understand more about coaching opportunities there’s plenty of information on our Coaching pages which can help. You could also become a Jog Leader with jogscotland and help people take up running in a sociable, supportive group. Or you could play a vital role in making sure competitive events are run well and fairly by becoming a technical official. To find out more about the work scottishathletics is doing to develop volunteering within the sport, visit our Volunteer Development page.